Growing up in Jakarta, Indonesia, Eli Wirija found creativity in imaginative exploring. With limited resources, she "absorbed art in [her] own way," she tells PAPER. A room in her home dedicated to manga, video games, and books led her to playing music, illustrating, making comics: "Anything I [could] get my hands on to express my vision or whatever feels right," she says. Her mother recalls Wirija drawing on the walls. 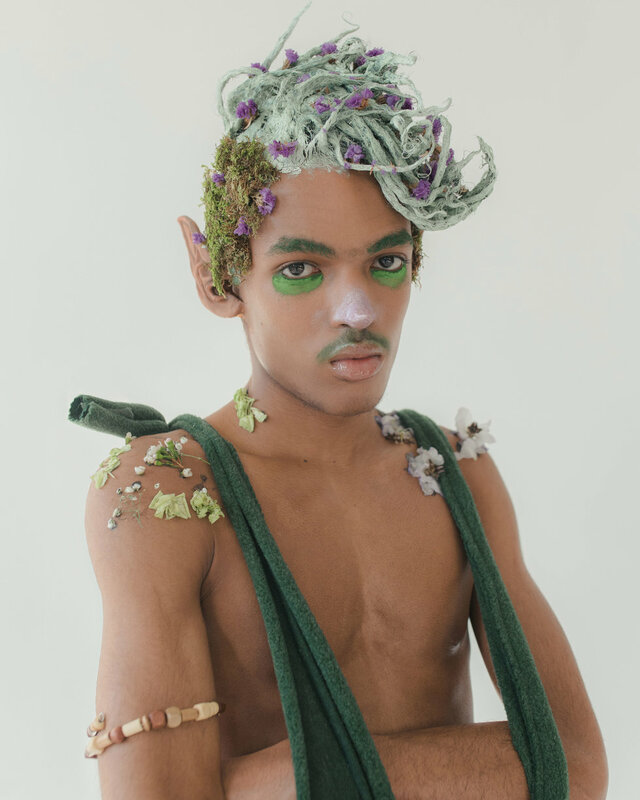 Today, Wirija unveils Alien Children, a photography and short film project that reflects the past, present, and future in three species existing in a visually striking imaginary world. But there is vulnerability and intimacy here — a human factor that, despite the mythical nature of the subjects, stands as a hopeful example of what could be. 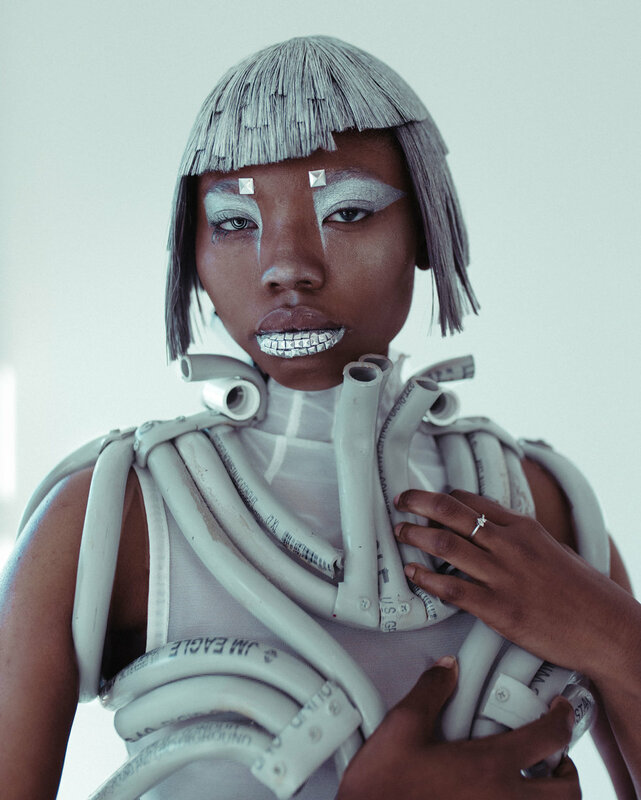 After studying at the School of Visual Arts, Wirija now lives in New York City. As the only living artist in her extended family, she notes, it was her deep-rooted passion that fueled her. But a few years ago, while starting out in photography, she learned of a great grandfather who ran a home studio that served the neighborhood. "I never met him, but sometimes I feel like I am a reincarnation of him. An artist speak their times (and past lives) honestly and documents it in our medium," she says. "My purpose is to uplift my people and other marginalized groups to level the playing field since we have certain structures in our current society that readily oppress our being." Read on for insight from Wirija about the project's beginnings, the 90 percent POC team that helped bring it to fruition, and what we can learn from the imaginary world she's created. Can you tell us more about the team that helped shape Alien Children? Everything from the models to clothing and hair and colors — it's all impeccable, super striking, and so original. The team was composed of amazing talented people, each person is incredibly devoted in their craft and invested their everything when I presented them Alien Children. Initially, I ideated an outline of what each species will feel like and they made it come alive in the best form. I have been planning Alien Children for two months ever since the idea visited my mind. Luisa made individual wigs for the talents, she makes the most innovative pieces out of synthetic hair and also incorporates other unexpected objects. Salome also assisted in the hair styling process. 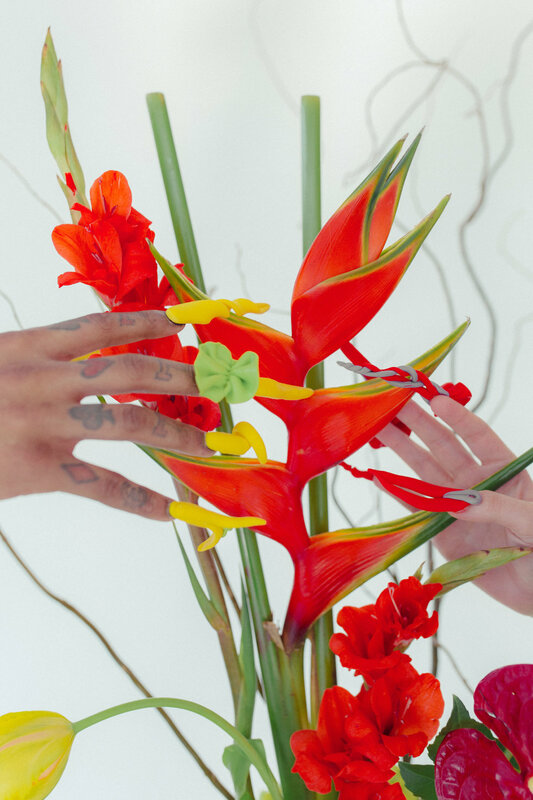 Juan creates sculptural nails with the wildest patterns for the mythical hybrids. Jamie is a genius at floral design and can portray emotions through the presentation of floral arrangements. It added to the environment and world I wanted the species to live in. 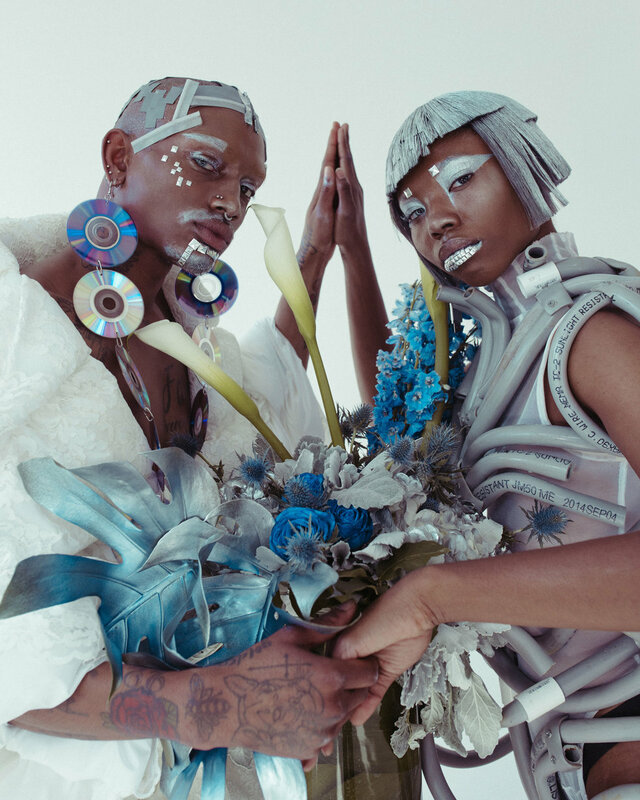 Stazi and Kara collaborated on the makeup of the robots and captured the futuristic energy through the addition of silver and studs. I had sketched out the idea for the accessories and Stazi also constructed them. Mimi produced the prosthetics for the elves and expressed their natural softness. Rahm is one of the best living painters in our generation and also does striking paintings on faces. You did the styling and casting yourself? 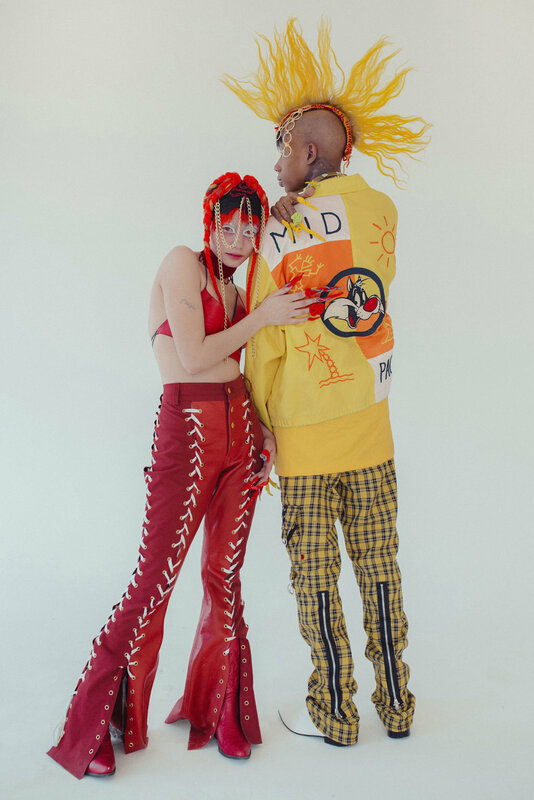 I was searching for stylists and reached out to multiple but nothing ever got set, so I decided to take it upon myself to pull pieces from emerging designers and shops and style the project. 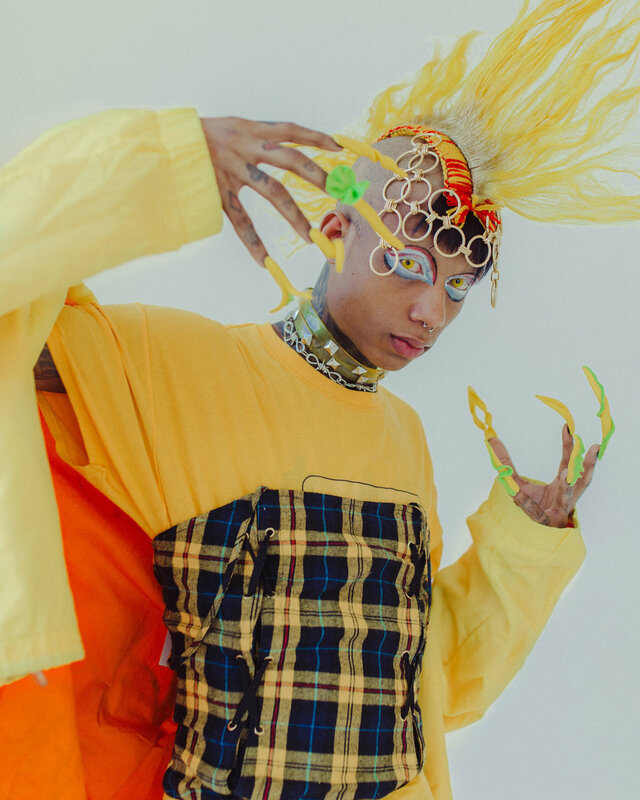 Jamall is an impeccable designer, he had to carry his pieces on a bus from Rhode Island to New York for the shoot – it was featured on the robots. All the talents involved embodied the characters so authentically. When I was casting, I wanted to make sure POC is represented in a sci-fi setting since there is rarely representation there. When I watched Altered Carbon and saw Asian main roles, I got extremely excited so I understand the importance of that. In fact the team is 90 percent majority POC. David shot the film footage that evolved into the film. Mia took BTS shots of the whole process. Brynn provided the sounds for the film. I'm realizing that when you collaborate with brilliant creatives that specialize in their art, beautiful things come out of it. Why did you choose these three mythological creatures to be represented in Alien Children? Each species represent a fragment of time continuum in an alternate world. The elves depicted the past and our connection to nature and how it grounds us. Ever since the beginning, we relied on our environment by giving and taking in a synergetic exchange. I observed that we are so disconnected from our innate nature and almost fear our origin as humans. We tend to dissociate so distantly from our primitive culture almost deeming it barbaric. We used to communicate with the Earth and receive our main inspiration and life from it. It is crucial to return to that place of compassion. We cannot deny our ancestors and the ancestral knowledge that has been passed down in our genetics. There needs to be a balance between striving for growth and respecting where we came from. 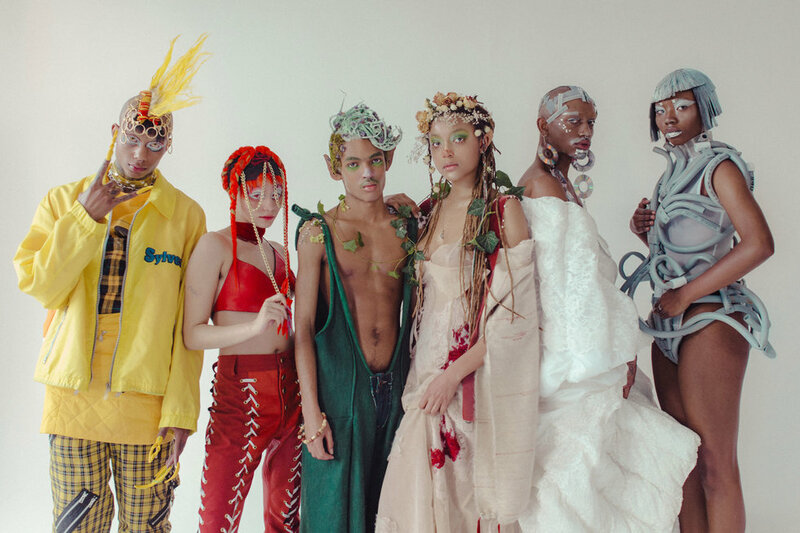 The mythical hybrids renders a profile of my present as a youth living in New York, deriving that feeling as an outcast and embracing the originality and oddity that constitutes our generation. We are eccentric, vocal and possess so much knowledge from the constant surge of information. The humanoid robots is my concept of the future, the presence of artificial intelligence and the slow integration of softwares with the human vessel. My prediction is soon, what is tangible will not exist. Everything is mental and there will be more interactions via telepathy and simulations. The mythical hybrids in particular are especially intriguing. Can you tell us more about them? The mythical hybrids shows that angst we experience during our teenage rebellion period. Not trying to fit in at all because our existence already stands out. There's nothing wrong with that. Visually, it is a combination of multiple underground scenes and taking parts of each and mixing it all together. Miles's character was heavily inspired by the punk scene that rises in each part of the world. It is the complete anecdote of revolting against the usual and mediocrity of life. Amanda's character is an image of the amalgamation of energies in the youth culture in New York. I could totally see that fit being pulled off at some function. Imagine them as descendants adopting these earthly qualities but they are also a new generation of inhabitants of another planet. In the short film, they are moments where the subjects are skateboarding, holding hands, touching, smiling, and expressing vulnerability; I love that the project isn't based on simple representations of each species, but instead seems to show conscious beings with hearts and souls. Were you aiming to show more depth to the subjects in that way? The idiosyncrasies and subtle behaviors of the beings are meant to convey depth and emotional intelligence. They experience emotions too, but in a different contexts than what we're used to. Vulnerability is an important language among the species, as it is a subject that I am learning myself. I wanted to be able to display intimacy with one's own self and with others, when you are open to the world – it embraces the entirety of what you establish. The bond between each character is native to their physical discourse and shared in actions. I'm happy you're receiving that! They are conscious beings with heart and souls. What message is there in the coexisting of these creatures? All the beings co-existed peacefully among one another. They share physical space and resources with one another, honoring each other's needs and boundaries. It's a harmonious eco-system. It's important for them to embrace their own individuality while respecting and acknowledging the differences between them. Since they are solid in their identity, they do not need to steal any segment from another group and profit off it. However, they are open to sharing their knowledge and culture with one another and show intentional appreciation, not mockery. Focusing on cultivating abundance within their own and once they're set, eventually looking out for the others. Their interactions are saturated in kindness and understanding. After waging many wars for the sake of destruction, there was mutual understanding that unity is far more powerful than when they are divided. But that was because the systems were rewritten that benefited all the groups instead of just one.